Trapped in their own worlds, four women claim their desires through secret acts of rebellion In a small town in India. A burkha-clad college girl struggles with issues of cultural identity and her aspirations to become a pop singer. A young two-timing beautician seeks to escape the claustrophobia of her small town. An oppressed housewife and mother of three lives the alternate life of an enterprising saleswoman. A 55-year-old widow rediscovers her sexuality through a phone romance. Caught in a conservative society, these women set forth to break the mold, in search of a little freedom. 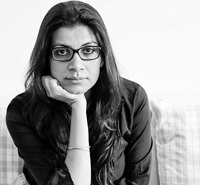 Alankrita Shrivastava is a feature film director and screenwriter from Mumbai, India with a penchant for telling women’s stories. She likes to explore the complex, interior world of women through her films. 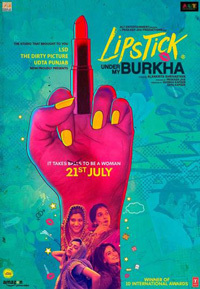 Alankrita has written and directed two feature films – Turning 30 (2011) and Lipstick Under my Burkha. She has worked on several Indian feature films including Raajneeti as an associate director and Khoya Khoya Chand as an Executive Producer. She has also director short films, documentaries and music videos. Desire to live with Self esteem and pride awakes in his heart. When thinking of a person starts changing that thought affected his society as well . Then, along with the man he seems to change the society. 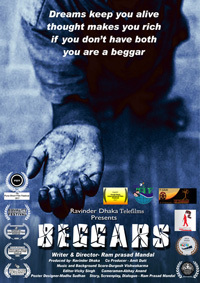 In our film “Beggars” a boy has changed the attitude of his beggars society .He taught them and People of his age to live with dignity and pride. 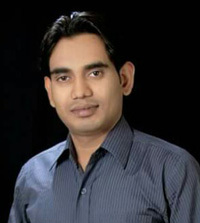 Ram Prasad Mandal born and brought up at Jharkhand,India. He did graduation from RSP College Jharia. Then he moved to Delhi for his dream. He did Theatre or Street play in Delhi and study about cinema. In 2010 He went to Mumbai and started working as an assistant director in T.V serials and Films also. He worked seven years in Bollywood with several productions house. In 2016 He has written & Directed three short films. Dada ji ki Diary, Switch Off, Beggars..All three films have been selected in 31 International film festivals.He got Best Childrens Film Award for his “Beggars ” film. And Best Asian film Award for “Switch off ” film.Ram Prasad went to Iraq for Al – Nahz International Film Festival. He interacted with International media over there.